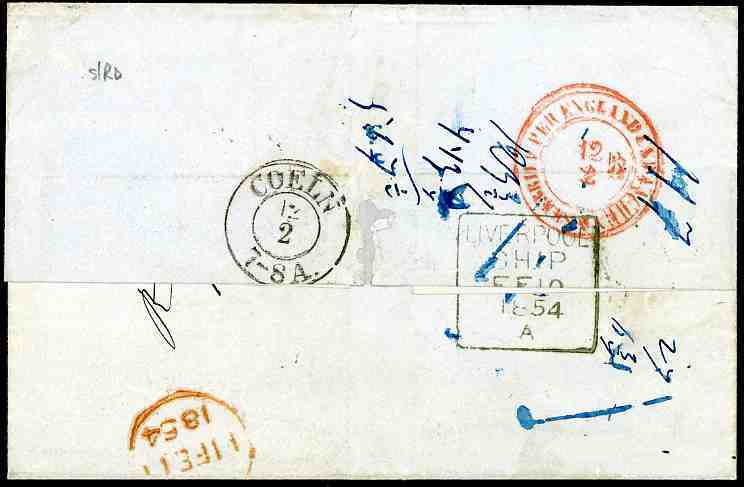 Uruguay, Montevideo (31.12.1853), Trans-Atlantic cover to Cöln, Prussia send "P. Str. 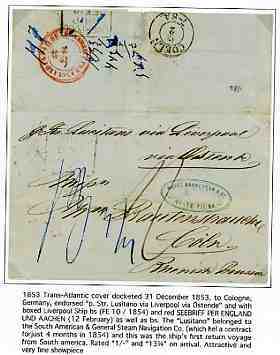 Lusitano via Liverpool via Ostende" with boxed green "LIVERPOOL SHIP FE 10 1854" backstamp and red "SEEBRIEF PER ENGLAND UND AACHEN 12.2", ms. 13 3/4 Silbergroschen postage due at arrival. 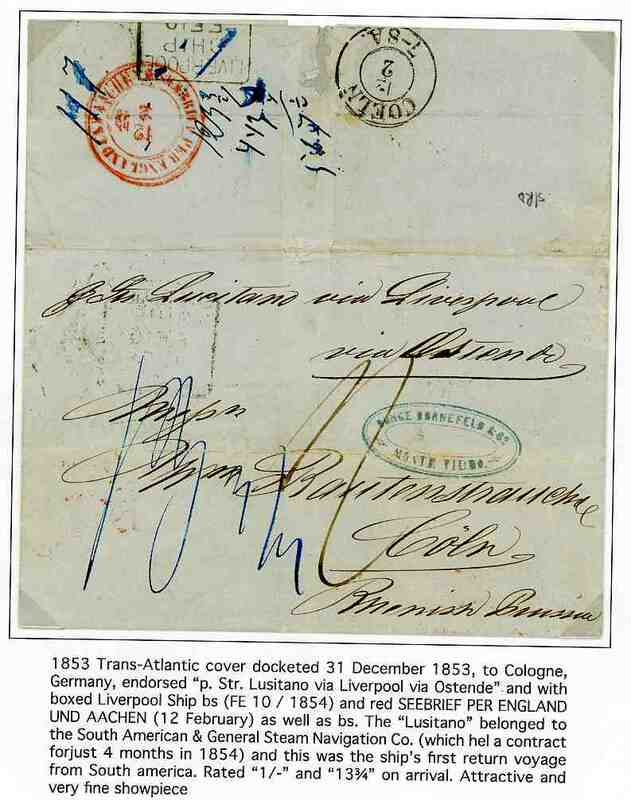 The "Lusitano" belonged to the South American & General Steam Navigation Co., which held a contract for just 4 months in 1854, this was the ship´s first return voyage from South America, the need for troopships for the Crimean War terminating the service that from that time onward until the late 1860`s was solely operated by the RMSPCo. Very scarce and attractive showpiece.